Thanks for your listening to this keto diet cookbook! Let me start this keto diet journey by thanking you and expressing my gratitude to you for choosing this audiobook among many to listen to. I can’t find enough words to express how grateful I am for having you listen to this audiobook and the huge appreciation I feel for the time you have spent in picking this audiobook to purchase, download, and listen to. By authoring this audiobook and offering it to you, my core aim is to share with you my experience in the keto diet to help to lose weight. 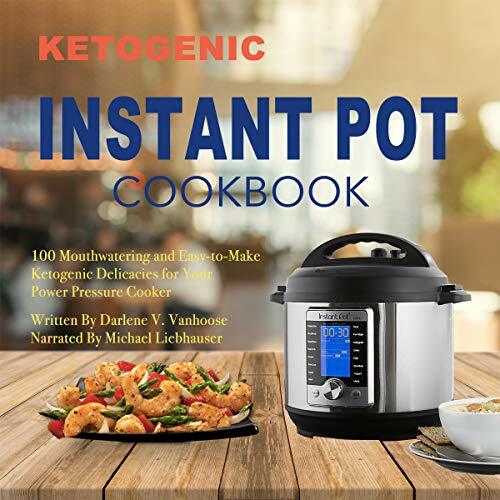 Through this keto-recipe instant-pot cookbook, I ensure all of you can easily to grasp the concept of the keto diet and how to make the most use of your instant-pot power pressure cooker. My center of interest was only your health and your well-being. These simple dump-and-forget ketogenic instant-pot recipes will not only enrich your recipe folder with 100 delightful meals, but they will also jump-start your ketogenic journey, help you enter and maintain ketosis, and support your weight-loss goal. And thanks to the pressure cooking with the instant pot, these keto delicacies will make sure you will never be nutrient deprived.